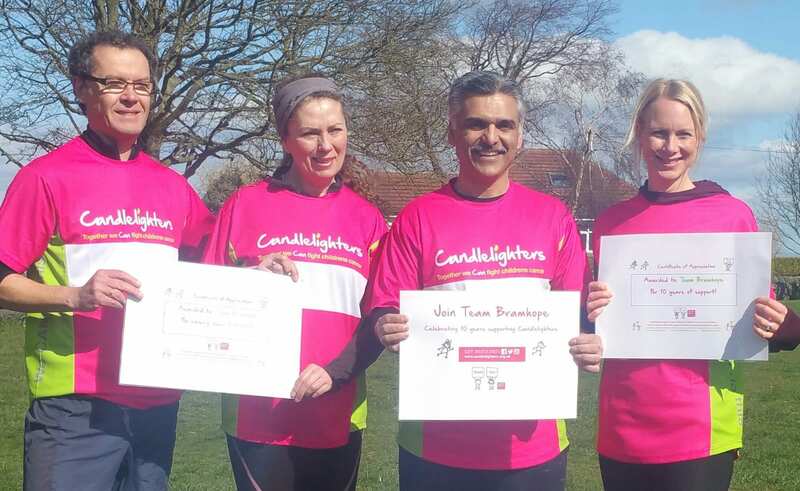 These company colleagues have all gone above and beyond to support Candlelighters through their work. 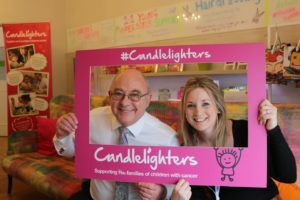 Reception Manager Chloe Cross is the reason Candlelighters became Sky Betting & Gaming Charity this year. Her willingness to make a difference took her out of comfort zone in December 2017 when she stood up in front of peers and delivered an emotional pitch for Candlelighters, that later inspired hundreds of employees at SBG to vote for the cause. In the space of just six months Chloe has led a company-wide campaign for Candlelighters to become the Company Charity of The Year, she has led her own innovative event and helped fundraise towards an eye-watering £10,000 for the charity, making her the ultimate role model for company colleagues everywhere. Chloe has earned the respect of her peers and is enabling others all over the business to do their bit too, in order to leave a lasting legacy. Nick volunteered at the York 10k last year, where he spoke to us about wanting to get more involved. 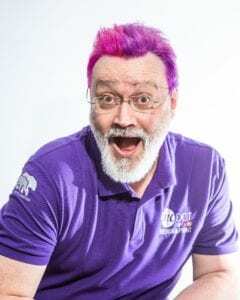 Since then, he has offered low cost printing as part of his business Inc Dot, played Santa for us at our Xmas party, dyed his hair pink and purple, raising £517. He has hosted a coffee morning and made us the charity partner of the Business Over Breakfast Club, York. So far, having been a member for just a few weeks, this has generated raffle prizes, a table at the awards and new potential partnerships in the York area. Nick assigned his apprentice designer to us, so all of our small design needs are being met free of cost. He sponsored our first ever networking event invites and printed them free of charge. If he can’t help us with a printing job, he actively looks for other people who can help us. 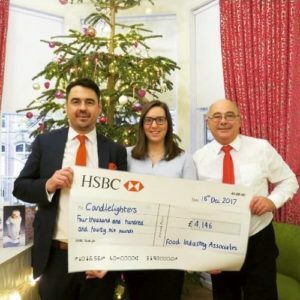 Food Industry Associates are long term supporters of Candlelighters, donating for every placement they make, as well as undertaking a tough fundraising challenge every year. Rachel is the heart beat of the business, the one who plans out every event and pushes everybody involved to raise as much as they can. Rachel is the one who writes to every client to thank them each time a donation is made. Her team tell us she is an inspiration and the right hand person to the founder at FIA. 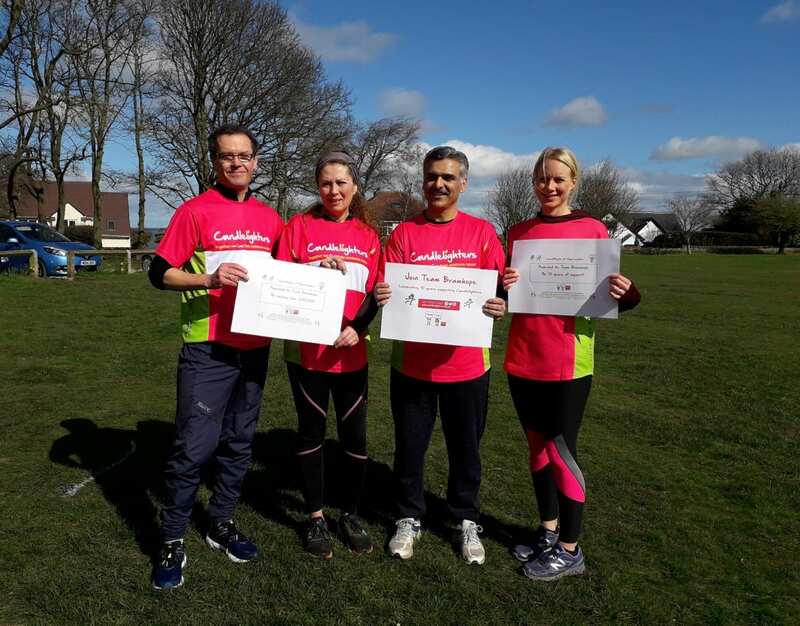 The team at Food Industry Associates feel they wouldn’t have achieved their fundraising total without her encouragement, dedication and support.